You are currently browsing the tag archive for the ‘Five Minute Marvels’ tag. 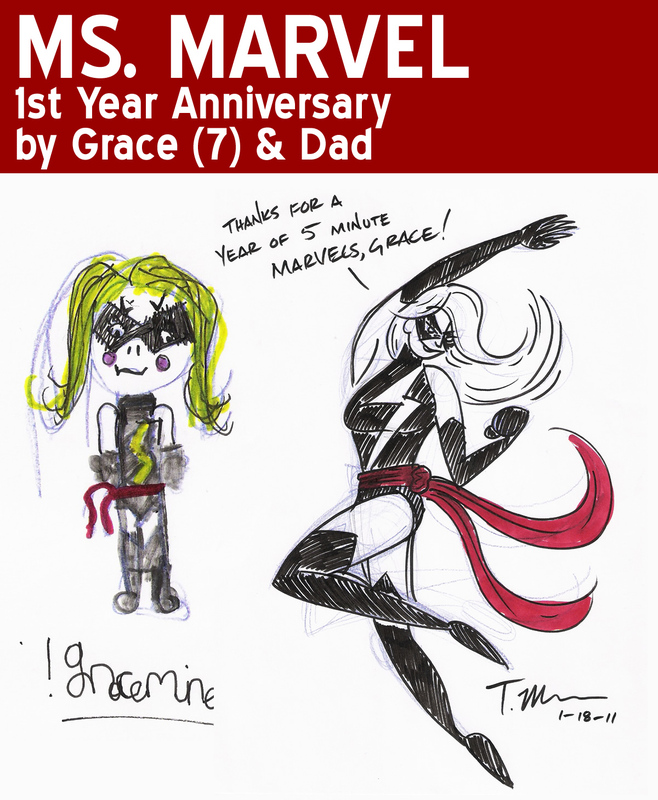 5 Minute Marvels One Year Anniversary! It’s hard to believe that it was only a year ago that I met Tim and his adorable girls Grace and Cate and was introduced to their great family drawing project 5 Minute Marvels. I’ve been awestruck by all they’ve done this year – both as a family bonding project and in getting great artists involved in the adventure. I am not a great artist, but I am a big fan and advocate of all they’re doing over there. If you haven’t checked them out yet, please do so, and if it’s been a while, head on back and say hi. There’s so much great art and wonderful energy to explore over there…it’s pretty much guaranteed to brighten your day. And thanks Tim, for all the support over the last year, and mostly for letting me draw with you again for your anniversary! 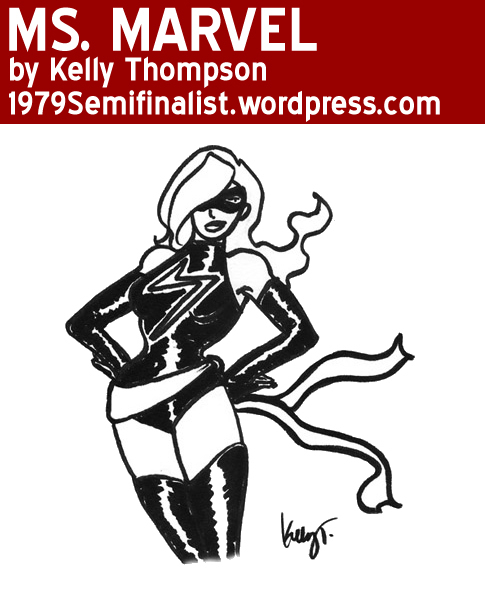 Ms. Marvel by me. I've never drawn Ms. Marvel before (being a massive Rogue fan it somehow felt wrong) but it was tons of fun.